﻿ Vista Al Mayon Pensionne, Legazpi - SAVE ON AGODA! "The place is clean and very near the airport." Have a question for Vista Al Mayon Pensionne? "You will a good view of the majestic Mayon Volcano while hav..."
If what you're looking for is a conveniently located hotel in Legazpi, look no further than Vista Al Mayon Pensionne. The city center is merely 5. Km away and the airport can be reached within 5 minutes. With its convenient location, the hotel offers easy access to the city's must-see destinations. At Vista Al Mayon Pensionne, every effort is made to make guests feel comfortable. To do so, the hotel provides the best in services and amenities. While lodging at this wonderful property, guests can enjoy free Wi-Fi in all rooms, daily housekeeping, gift/souvenir shop, taxi service, wheelchair accessible. The hotel features 26 beautifully appointed guest rooms, many of which include internet access – wireless (complimentary), non smoking rooms, air conditioning, television, satellite/cable TV. The hotel offers wonderful recreational facilities such as dart board, outdoor pool, massage, children's playground, table tennis to make your stay truly unforgettable. 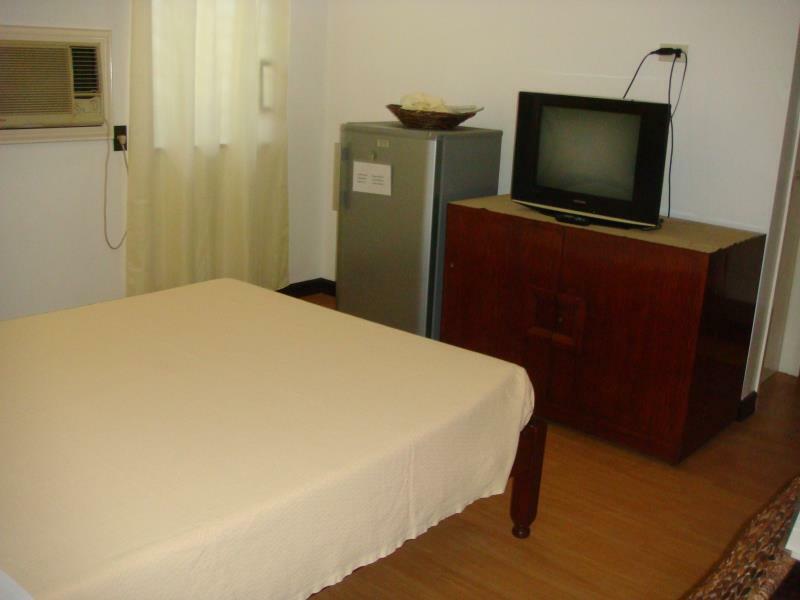 Vista Al Mayon Pensionne is your one-stop destination for quality hotel accommodations in Legazpi. "Very good location as well since its near the airport and th..."
Even we just stayed there overnight, i find the staff friendly, the room is very clean and beds are comfortable. Very good location as well since its near the airport and the malls and restaurants. It was indeed a home away from home. The kids loved running around the garden, swimming in the pool and spend fun time in the playground. I was a bit concerned, however, when they allowed their dog to run around the vicinity. Other than the dog, Vista Al Mayon Pensionne is a very good place to stay and is worth the price. staff were very accommodating and attentive. location is near the airport and the grand terminal. shopping center is just a few minutes away riding a tricycle. pool is super clean. rooms are well maintained. clean bathroom with heaters. guard is on duty during night time. parking space is available for those who have cars. despite that it's located in the city, the place is really quiet with a good view of Mt. Mayon. Also, they have a little restaurant if you're too tired to go outside. The overriding reason for giving this hotel the perfect rating is partially due to the excellent setting for viewing Mayon within close proximity to the amenities of Legazpi and the airport, however, the helpfulness of the staff was the primary factor. All the staff were very helpful including trying to overcome some minor issues regarding wifi connection. They were able to give helpful directions to local internet cafes whilst the connection issues was resolved. One member of staff on duty on the Sunday was incredibly helpful, kind and knowledgeable. She saved the day by finding my wallet in the reception area and was able to advise me and my Bicolana friend about the best place, Cagsawa, within reasonable proximity (about 20 minutes) of the hotel to view Mayon and ensured we paid the appropriate fare to the tricycle driver. My friend and I were then able to spend a lovely day enjoying the beauty of Mayon Volcano slowly but surely emerging from an initially cloudy day. It can be a little easy as a tourist to just appreciate the beauty without lining it to the fact that many tragic stories that will have accompanied the eruptions. A truly memorable visit aided by a pleasant hotel and extremely helpful staff. Location is ideal for those that want to site see and is safe to walk around the area at night, Great helpful staff, very clean. My older brother and I stayed at this hotel for 4 days whilst visiting the area to see the Mayon volcano and do some of the activities in the area, ATV tour. The hotel was great, great price, very clean, staff all very nice, a big hello and thank you to the lady who works on the front desk and has been there 30 years, your knowledge of the area was much appreciated. Nice swimming pool and great view of the volcano for some early morning snaps when the view is clear. I hope everyone is safe from recent eruption. Take care and hope to return. My major complaint is that there were mosquitoes inside my room despite the window screens and that the air-conditioning wasn't able to keep the room temperature cool enoguh during the hot nights. It was very difficult to sleep when I stayed there. It is also a bit too far from the city center and the malls. Don't stay late in the city as the bars and establishements close early and it would be difficult to find a ride back to the hotel. Clean and spacious standard double room. Staff nice and helpfull. - point : Nosy at the morning (discussions, children's screams...) But it's not a probleme if you're an actif tourist ;) We recommanded this hotel for 1-2 days. Beautify garden with swimming pool. No smoking room all over this hotel. Clean with fit space good for stay. we chose to have a room at a pensionne house, with of course a great view of Mayon, and a swimming pool. we stayed for 4 days 3 nights and it was simply great! the staffs were all very nice, very accomodating, very friendly. breakfast was satisfyingly good at a very good price. the place was always clean with a very relaxing atmosphere, it was also one tricycle away from the airport and from embarcadero de legaspi. 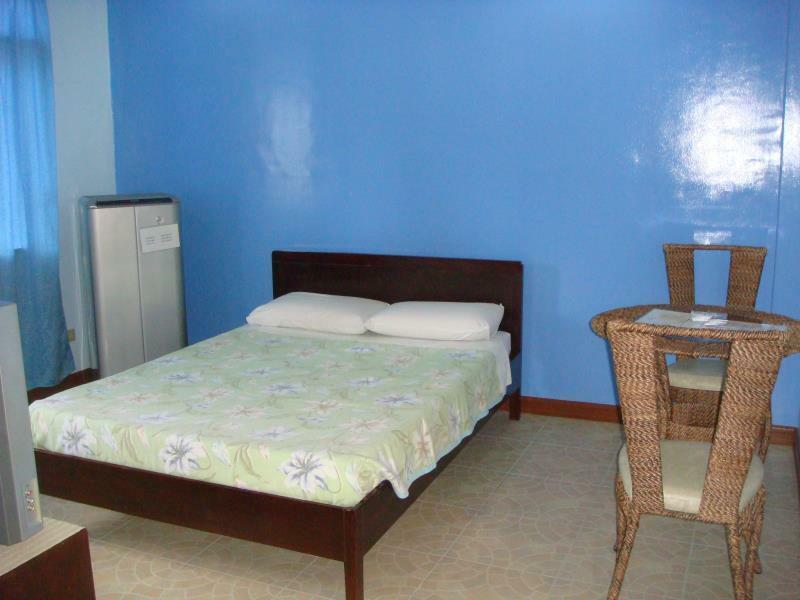 mayon al vista is an affordable and comfortable place to stay in and i really want to commend the staff there. thank you all!!! Nice pool, great view, good location for Legaspi City visitors, friendly staff, reasonable prices for everything. They do their best to accomodate every request. My first stay here was in September of 2010. Many of the same employees remain, and they remembered my companion and myself. This was the best choice for us. not only is the hotel clean and well-maintained, but the front desk and restaurant staff are excellent. the swimming pool is cleaned daily and the water quality is excellent. i only wish the hotel served san miguel premium beer or san miguel red horse beer instead of the basic sm pilsner. They have a good price, value for money for their hotel category! Vista Al Mayon Pensionne, has a great value for your money. 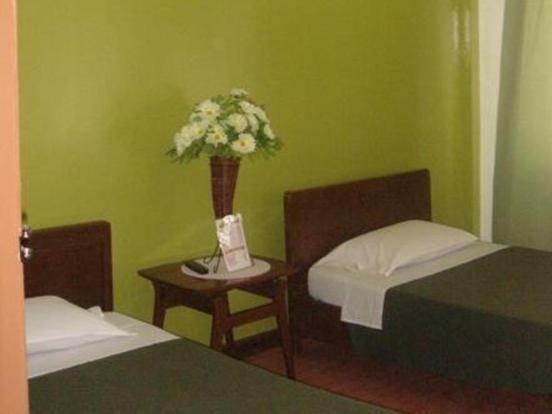 Rooms are clean & comfortable, nice friendly staff, plus its accessibility to all transportion to take or going to sightseeing,attractions in bicol!